There simply is nothing I love more than finding the comfiest outfit possible that doubles as socially acceptable. Fur is the coziest for fall, and don't hate, but I am doing leggings as pants... oops! You pull off that sweater so well! Way too cute. So cute! Love the fur! Love that sweater! The fur looks so cozy. Leggings are pants ;) Love the touch of fur! 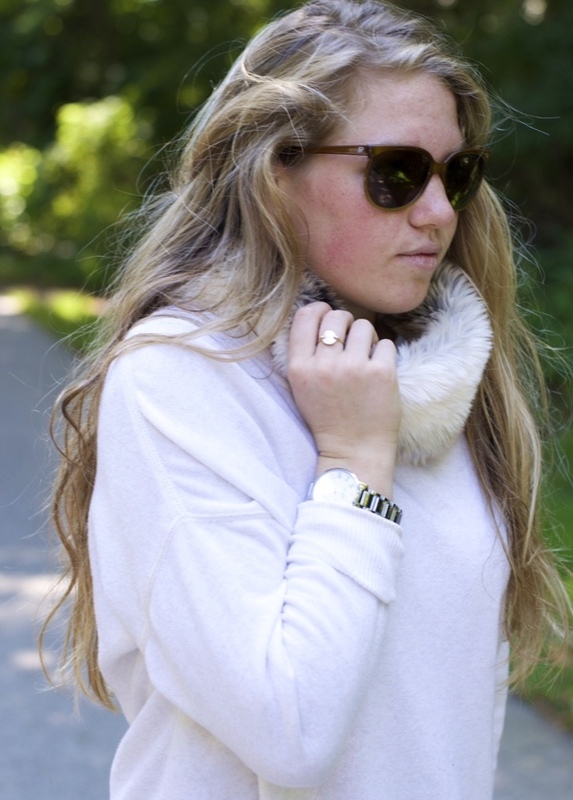 Gorgeous outfit, I really love how simple yet fun this outfit is with the fur. And love your watch btw! Don't even be sorry about doing leggings as pants...that's my every day life!